You must get the latest version of Goosweek's Platforms of Goo to install these addins. 1. Download the .zip file. and the music .zip file. 2. Place the .zip files to your folder containing Platforms of Goo. 3. Extract all files at your Platforms of Goo folder. 4. Sort out the images, levels and music in the res folder. 5. Launch the game, ENJOY! Please guys, this is so important when a new version comes out; not just to add the levels, follow the version history please. These rules are very strict to my policy, so if you didn't follow one of these rules, a violation will be earned, so if you want to edit anything, copy the file you want! 1. Don't edit the original levels. This is an important rule! 2. Don't edit the coding of the levels. 3. Don't customize the graphics of the level set. The only people who don't follow these rules are me and Goosweek. The concept of this level set was set off when I played the hit game on Facebook which is Candy Crush Saga. I'm addicted to that game which it has so many levels. On April 9, 2013, I decided to make a new and fresh PoG addin which I was influenced by that game. The level-set's first name is called "The 100 Level Challenge". It was finally released on April 22, 2013 with the first 10 worlds of the game. On May, I was very bored on just a plain of 100 levels, so I suggest that I will expand the game up to 150 levels with 5 new worlds: Forest, Tundra, Canyon, Coastal, and Graveyard renaming the level set to The Ultimate Level Challenge. It finally published on June 5, 2013. In the release of Jungle and Stone Worlds, the map of ULC was made to the public. With the map, you can see what's the worlds in the set connected by a dashed line to see how the worlds progressed. On August 16, 2013 when Darkness World is released, it contains Level 200 to end on the second part of ULC. I've been experimenting to create something new to a world. Grass, Desert, Cave, Water, and Radioactive Worlds have multiple new objects in the game while the others only have 1. Some worlds don't carry new objects at all. In the release of Reef World, the red cans were no longer used, but with the new scribed colored cans, there's now a variety throughout the worlds in the game. It's a can with an animated drawing inscribed them. Drawings like Electric Particles from Techno World, Rising Swamp Bubbles from Swamp World, and Swaying Grass from Grass World. In the release of Abyss World, the ULC map is beautified and fresh new looking, and also declared being the largest PoG addin in the game! The Stealth Eyes idea was planned from my brother. The main idea for this one is that it's hard to see those eyes throughout the game. It was first appeared on Mineral World. On October 19, 2013, ULC had reached 300 Levels with the releases of Radioactive and Lunar Worlds to end on the third part of ULC. On November 2, 2013, inwog announces that the last level of ULC will be on 500 in Part 5, and might be ended on April 2014, but that's not the end, there are 50 more levels, but these levels are the marathon levels. These levels must be unlocked after beating level 500. In the releases of Cloud and Glass World, a storyline for ULC is now approved to the game to have the settings revolve around the game. In the release of Badlands World, blue borders appeared on the map indicating the worlds on that part. On December 17, 2013, ULC had reached 400 Levels with the release of Neon World, then the beginning of the holiday break. On December 21, 2013, inwog announces ULC: Time Travel for the Marathon Level Set, and the first promotional poster made in the page on December 23, 2013. On January 24, 2014, inwog said that when ULC gets a full set of 550 Levels (500 in the main set, 50 in Time Travel), the whole game will be fully customized graphics for extra fun. On February 20, 2014, another ULC Time Travel Poster had posted on the page with new levels added. On March 19, 2014, Psychic World was released, and maxing out all 500 Levels. On April 15, 2014, ULC's Time Travel has been released to the public making it the last part of the game and an expansion of 50 new shaft levels. On July 17, 2014, ULC will have a dreamy counterpart namely "The Dreamy Level Challenge" because of Candy Crush Saga's Dreamworld and the new version of Platforms of Goo. It will have all 500 Levels to have a counterpart. Also Time Travel will be seperated from the game because it's now a spin off. On August 9, 2014, DLC is now archived because making another 500 levels will be a pain again, but still it can be downloadable and deleted later on. On September 19, 2014, DLC is now removed from the page, however it is not completely gone, some mechanism must be changed before releasing to the public. On September 27, 2014, Time Travel will be archived due to its spin-off. Also, DLC will be revived, but changes of mechanics of the game as it will be discussed by myself. On July 2, 2015, I had plans to make ULC's sequel which I had trouble how the game would differ from the first one. I also said this is my last addin on GooFans. On July 13, 2015, the development for The Ultimate Level Challenge 2 had begun. 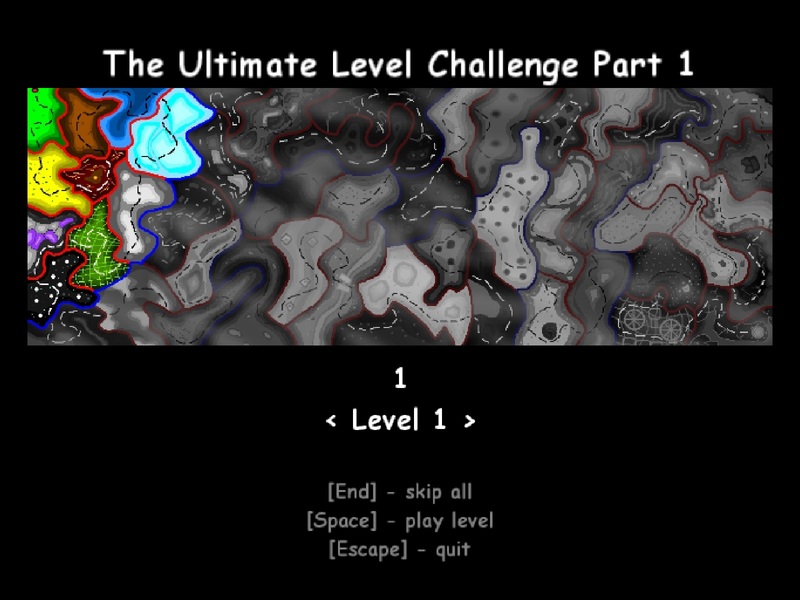 The Ultimate Level Challenge 2 was released on July 22, 2015 with the first two worlds. Furthermore, I'll keep adding more worlds until I had enough making this one. 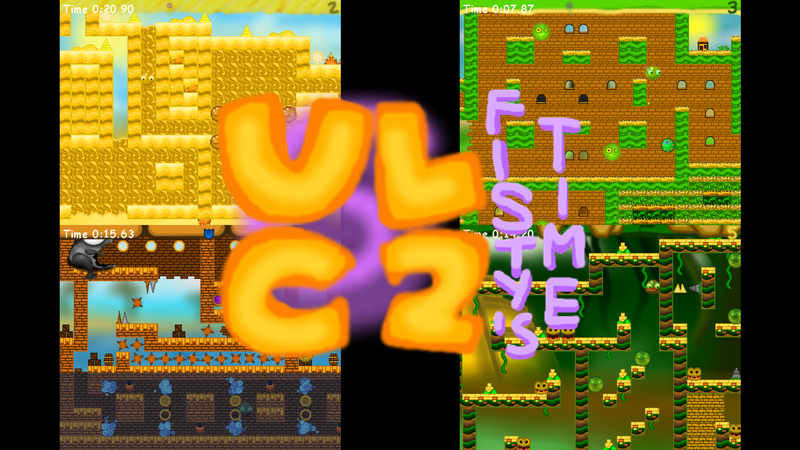 At November 22, 2015, ULC2 is finished with all of the levels. With the version 2.0 coming later will have cosmetic changes. This version ends my journey to GooFans. On January 2, 2016, The Version 2.0 is now discontinued, marking the final addin for inwog and his history. Biggest PoG Addin Ever, now with a complete of 500 Adventurous levels! This addin is my first one to be so huge as a PoG Addin (like my other addins MCW, and Geometry Hyperspace). It contains 500 Levels to complete, each of the levels categorized by 50 different worlds below that I listed. You'll encounter new monsters, bonuses, and other stuff. NOTE: THIS SET HAS BEEN ARCHIVED!!! 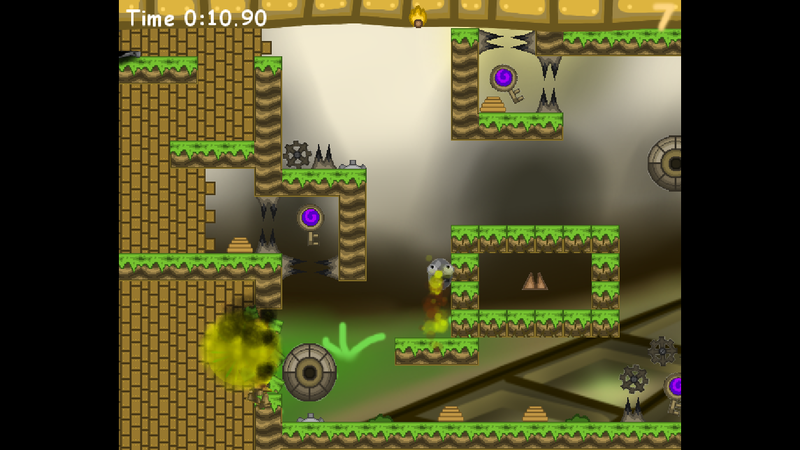 ULC: Time Travel are Marathon Levels that lets you play back to the previous worlds until to the last world. You'll play from Grass World to Psychic World. 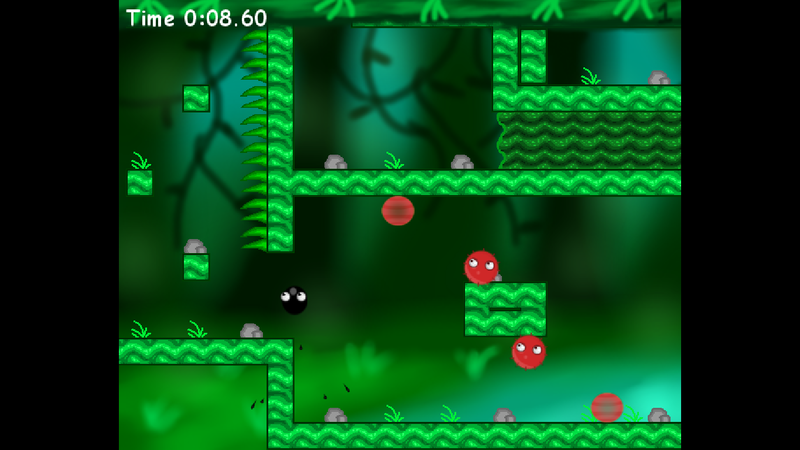 All of the levels are Shaft Vertical Levels with an increasing difficulty (sometimes mixed difficulty). As of July 17, 2014, this set will be seperated from the main game because it's now a spin-off. To unlock ULC: Time Travel, you must finish all of the main levels in the game (from levels 1 to 500) in order to play them. The levels will be release on the first anniversary of ULC (or the month of), which the first release date sets initially on April 15, 2014 (but that's going to change if I would pull the date). The first promotional poster was published in December 23, 2013, the second promotional poster was published in February 20, 2014, and the third promotional poster was published in March 31, 2014. It was released on April 15, 2014 with all 50 shaft levels released to the public. This stage could inspire from the movie "Mr. Peabody and Sherman" because of the setting. If you're having trouble with one of the levels in the set, comment below or go to the forum of The Ultimate Level Challenge which its in here. However, the forum is now locked, so I'll abandon it. Updates will be given on days if anything might be changed on ULC. Featured videos were now shown on this page. 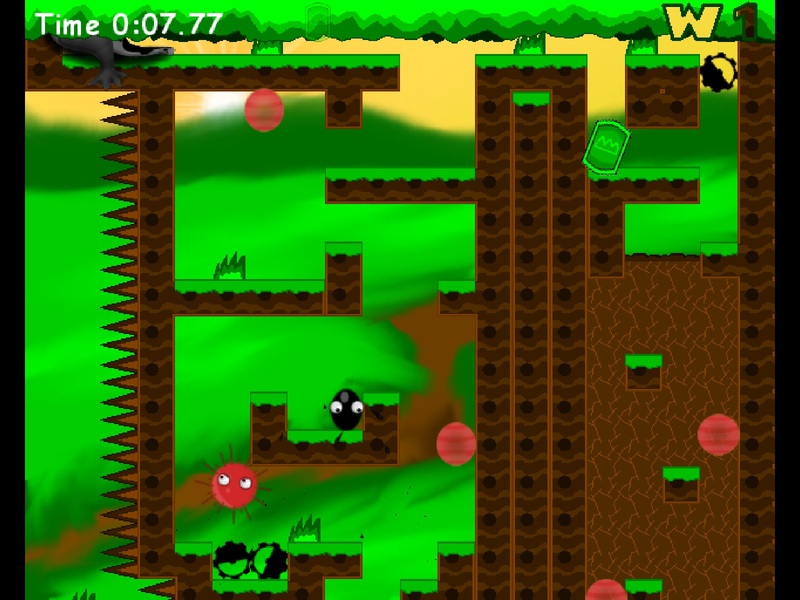 This will feature hard levels that may people who afraid to manage to beat. Certain Levels could gain one of these problems due to the fact they have issues on many of its monsters onscreen. 1. Dynamic Blocks - There are two ways how falling blocks get a bug, first of all that the Block wasn't moving down at full stack, and second is that the block isn't falling down at all. This can happen on Levels 182, 355, etc. 2. Jumping Bone - Since some bones don't jump at all, which is a bit rare, and some bones when they fall onto the gears/spikes, they will get stuck and back them up. This kind of issue happens on Level 294. 3. Fireball Emitters and Devil Bomb Emitters - Emitters when they spawn fireballs, the game will crash, but it only applies to levels with more than 3 fireball emitters in an area. The Devil Bomb Emitters spawn infinite number of bombs, but if they populate on an area and igniting them all, a crash occurs. This happens on Levels 335, 340, 355, and possibly 391. 4. Devil Bomb's explosion sound effect - This happens when during the explosion of bombs and the evil laugh heard, there's a broken loop leading when there are too many bombs explode every after. But somehow after playing a level and finished it, this occurs. 5. Falling Block - Whenever a player moves the goo ball and a block is about to fall on top of it, it will suddenly paralyzed in a glitched way. This glitch was often to be seen in very severe falling blocks like Levels 298, 317, 339, etc. Yep. It's sad to say this is my last addin in GooFans since I'll be working on other stuff outside World of Goo and Platforms of Goo. ULC is back with a time travelling sequel! This time, Fisty travels in time by collecting cans from other timelines and feed his appetite with a bang! He needs to be accompanied with a Goo Ball to collect keys in order to get cans from the Time Warps. Fisty the frog and the Black Goo Ball are hanging out in The Ponds, which is their home. The Goo Ball keeps feeding Fisty cans of goo to make him happy. Unfortunately, they had run out of cans in which they need to collect them more by time traveling. They first arrived in the Vile Sands of Egypt in which the monsters are very slow on not greeting them on their world. Fisty and The Goo Ball's goal is to collect keys to unlock the can in which they must travel on. At Egypt - Time Warp, they had arrived at Alexandria in which the first can is collected. Once collect, Fisty is still hungry. The Goo Ball is concerned, so he and Fisty time traveled to The Royal Kingdom. 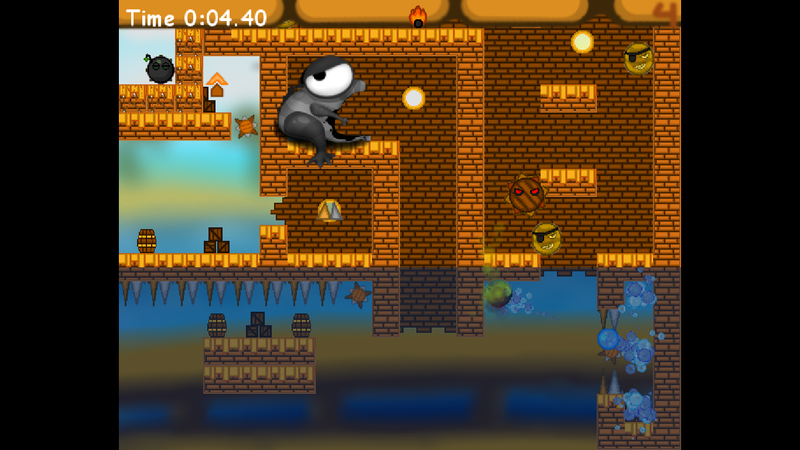 Compared to the first ULC, ULC2 (short for The Ultimate Level Challenge 2) features worlds with different taste of gameplay with each monster has a unique ability on its world and an environment modifier as well. 1. 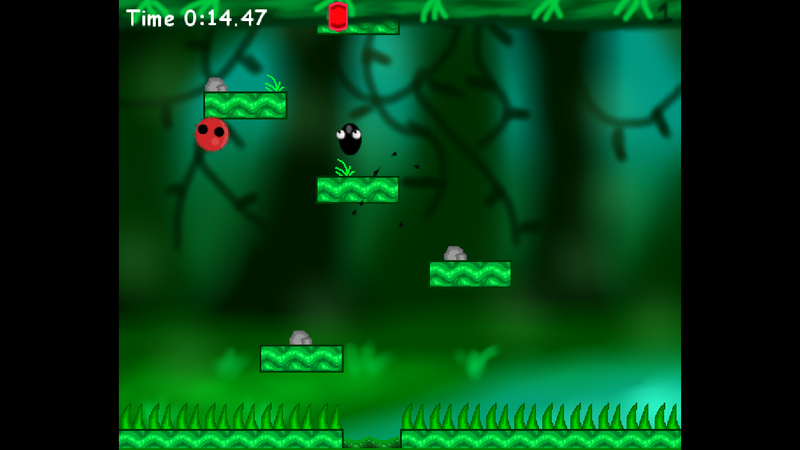 Normal Levels - These levels are normally to be finished. 2. One-Shot Levels - These levels if failed to finished (without quitting), you're forced to play the previous level of the set. 3. Time Warp Levels - These levels are found last in the level set. These are actually Marathon Levels from ULC's Time Travel, but they are now ultimately must be done in a try with no repeats. 4. Steal Levels - These levels are exclusive to Wild Wild West. 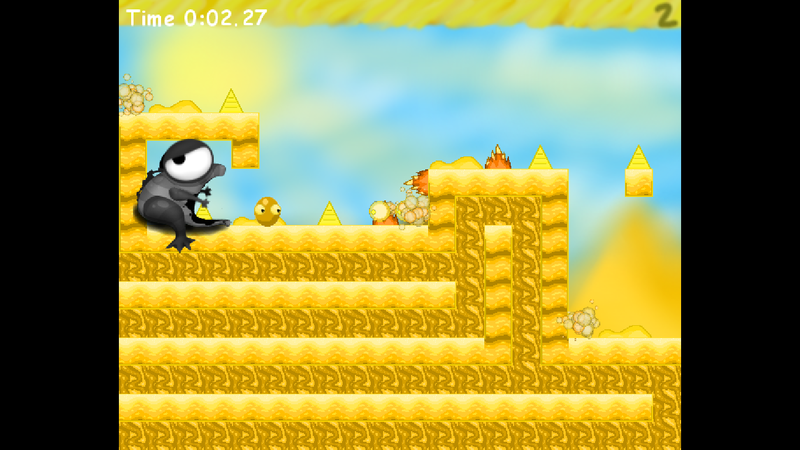 They are normally the Can Chase Levels of ULC where a monster grabs the key and the player should navigate the monster. 1. The Worlds in this game had a unique style on their gameplay. 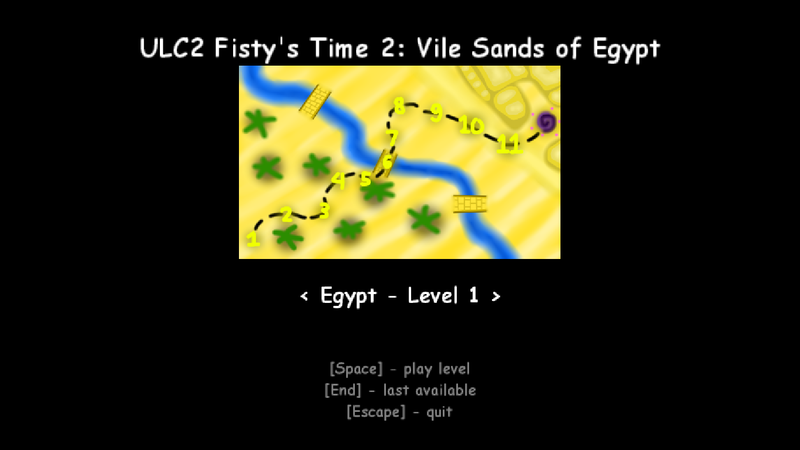 For example is Vile Sands of Egypt with slow monsters and Golden Age of Piracy with water allowing Water Emitters to appear and fast-pased monsters. 2. Some objects in ULC within ULC2 had changed. Notable example is Sun Emitters can emit two sun emitters instead of one in ULC. 3. 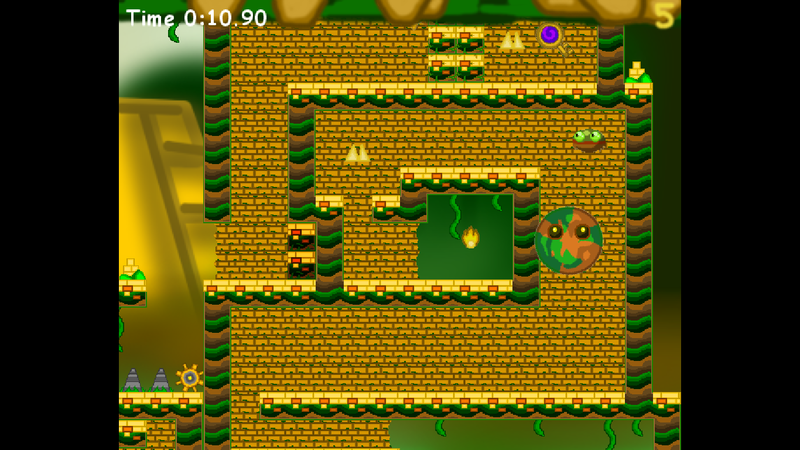 The number of levels in each set vary. 4. Each set has its own map. The map itself shows the path to the Time Warp level and its levels. 5. 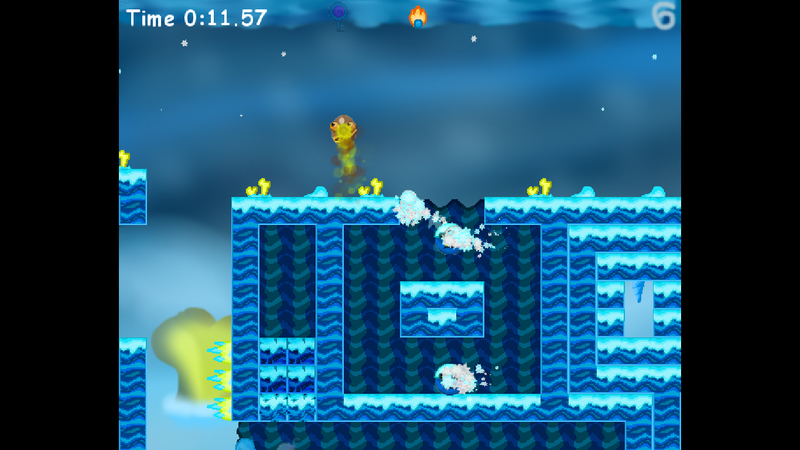 Time Warp Levels comes in ULC's Time Travel in which these kind of levels serves as a main purpose on the storyline. 6. Each set has its own music. One for the level selection, and one for the game stage. by PoG: The Ultimate Level Challenge. There are 5 current downloads. Show 1 archived download. It's world's first real addin for my game! You have undrstood order file system without help from my modding-guide (I explained order file system after your mod). I got to the end of 2nd World. I must try again. PS. The only thing: can you use higher resolution bg-images? They are pixelized and it's annoying. You can use .jpg images (but change extension in path) to reduce file size. Game correctly stretches bg-images to screen size. Sorry, but I don't have GIMP yet, or anything else. I only got paint to make these levels, but in the meantime, I can change the images into a jpeg just what you said. I've been making this addin for 10 days to test PoG's new version and new level sets. I beat all the levels, but the best in Ultimate levels, you can restart while you die before it changes to GAME OVER! I have fixed bug with playing (your) levels with PooGLE. By I'm waiting for some other ideas before I release next version of PoG. Nice guide. Fine description of game features. PS. There will be some different machanism with water bonus: You lose it if you get water bonus item or item of any fire-conected bonus (fuse/bomb). EDIT: New version (1.10) is out!!! And New PooGLE!!! (0.40)!! I made the Hard Version of Warping Worlds, which is a little bit different from the normal Warping Worlds. There are now 40 levels in the hard version of Warping Worlds. inwog, could i have the .gmk source file to the WHOLE thing please? But inwog has got no .gmk source. Those levels were created by PooGLE. There's nothing made with Game Maker. I can't get this thing! How to get it?! No fixed. But how to play it? I can't open it! I had only things of it! Where is the game?! Fixed it. But when I open it with Platforms of goo game it shows me something 0 1... 2... 3... and stops!!!!!!!!!!!!!!!!!!!!! Hey, why none answer on my question!!!!!!!!!!!!???????????????????? And how, where to ask Davidc to let me make addin that is not goomod? To ask davidc how to upload a non-goomod addin, email him at davidc at goofans dot com. E-mailed! Now just need to wait what he will say/do! Either I understood how to play THIS (Inwog's) thing! Need to play levels separately! And one more thing... If Davidc says that this addin is too small (That there is only one level) tell him that I hadn't other level ideas for that addin, Ok? and level 2.4 (in hard version) is too hard! You need to take one balloon off! Yes, Wikigoo. It's like that. But I said "davidc at goofans dot com" so spammers can't just click a link and fill his inbox with spam. Common internet courtesy. As I said before... CALL ME Wiki-goo NOT Wikigoo! But what do you mean... I e-mailed wrong? Common, calm down, what's the big matter if your are written with or without hyphen? Apparently you used the right e-mail address. MOM4Evr just explained why he's saying it's xyz at abc dot com instead of xyz@abc.com. Because spambots can't see it's an e-mail address if it's written like MOM4Evr wrote it. So I wrote to him... What I need to wait for from him? HEY... WHERE DID EVERYONE GO?! ON HOLIDAYS?! Yes, you need to wait. Or you can email him over and over and annoy him until he responds. And yes, everyone is on holidays. It's called "Summer Vacation." i have an idea,but i need help. my idea is make level like level 1 in warping worlds. 3. Copy Level 1 so you can tweak the changes for your own level 1. 4. Use the graphics that i used as in Level 1 in Warping Worlds. 5. Test it if it works. 7. Go to goofans and ask davidc for a special upload. 8. Now you can upload your addin. Where's the "initial release" of 7 Test Dimension?! I can't upload, it's being canceled after the progress of the upload. Can you help me? It may be that the file is too large. The server only accepts files below 25 MB I think. And that means i need to split downloading the music and the graphics. Or use thB's JPEG hack to use JPEG images to cut down on file size. What's his hack? That sounds odd, as JPEGs are ridiculously larger than PNGs. 1) Compress a JPEG at low quality. 2) Rename it to a .PNG file. Actually, the music is the problem. I don't want to cut them, I just want to hear the full version. Anyway, it reaches to 62.5 MB and I can't upload it anymore. Ah. Yeah, 62 MB is definitely over the limit. OGG music has different compression levels, too. If you open it in Audacity, you may be able to compress it more and have it all fit. Of course, it'll not sound as good, depending on how much you compress it. @Red: What do you mean? JPEGs are insanely smaller than PNGs. Lossy compression almost always decreases file size, usually by several orders of magnitude, unless you usually use 256-color PNGs or something. Platforms of Goo use a bit different file types than WoG. - Without any problems you can use PNG, JPEG, GIF and BMP images (there are no gifs and bitmaps in official resources, but they are allowed by Game Maker). - Music can't be in OGG format. Allowed formats of sounds are MP3, WAVE and MID. The size of music files is the only reason I never published all converted WoG music with PoG. Ah, my mistake. I got a bit confused. Thanks, Goosweek. .WAV files are uncompressed, so using them here would be a generally bad idea. You can toy with the bitrate and such in MP3 files, but it seems that they don't have a general "quality" parameter, which stinks. OGG ftw. And MIDI files don't store sound. They're more like sheet music for a song than a recording. You can compose into it, but you can't convert to it or convert from it (except with lossy digital>analog>digital>analog>digital shenanigans). MOM, check it. Create a new image in any program, save it as a JPG. Now save the same image as a PNG. Compare the sizes. JPGs are insanely larger, and yep, they have compression, which means they are huge AND low-quality. Also no transparency. These are levels for PoG, or Platforms of Goo, by Goosweek. He includes installation instructions on his main page. @Red: I just did that the other day; saved an image of a Blender model as JPEG at 95% quality. A 525.7 KB PNG image when compressed as JPEG was 141.6 KB. And you could barely tell the difference. Even at 100% compression quality, the JPEG is only 277.8 KB. Sure if you create a new, blank image as PNG, it'll be insanely small, since that's how LZMA compression works; it searches for repeated patterns of pixels and saves them as a single pattern. But as images get more complex, PNG images get larger. It's not an issue with simple pixel art (An RLE-encoded bitmap would probably be even smaller than an LZMA-compressed PNG in that case), or small images or such, but if you're dealing with hand-drawn artwork, artwork of reasonable complexity, 3D models, or real images, JPEG is of course smaller, due to image approximation. I personally only use JPEG when I have a background image that looks fine compressed that the user probably won't be looking at too closely anyway; I definitely use PNG for everything else; but if you can cut corners with JPEG where you can, you'll save a lot of disk space. I generally keep PNG backups, too, in case I need to change anything. I'm planning on making my game pretty large, so I was pleased when I cut down one minigame from 1.6 MB to 500 KB by using JPEG rather than PNG images for the background. Don't get me wrong; I personally prefer PNG over JPEG myself, but JPEG IS smaller in most cases, which is the premise behind thB's JPEG hack and is why it works. 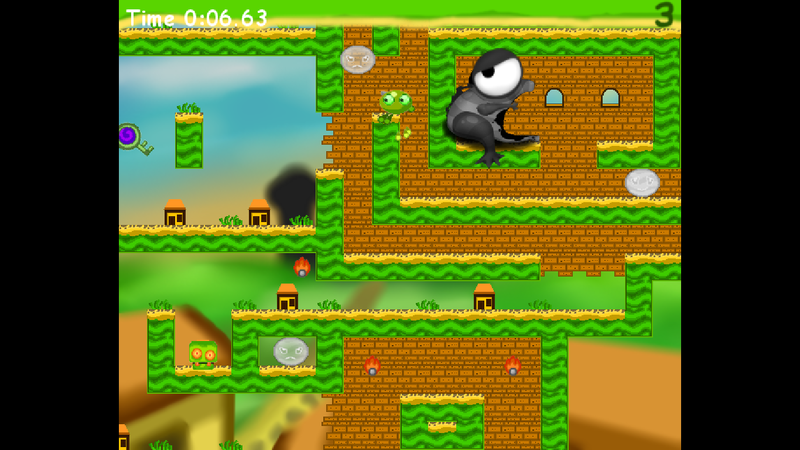 Inwog, you changed your game so original that it is a copyright only from images it looks like more like Mario style. If you want this addin to be 100% legal you should move it to the PoGfans but the web site is not ready yet. Everyone - if you would like to put in your PoG addins somewhere then be patient. PoGfans may take a year till it will be ready cause I'm just a begginer of making web sites but I'll keep on trying so please be patient. By the way where do I need to put the images? I've tried to put in many places the images so I could see the images on the levels but I cannot see them! Where do I put them to see what is going on in levels?! Wiki, if you're only a beginner at making websites, you shouldn't try to make a forum and file uploading and reviews and user accounts. Besides, this addin was created before you created your account, and we had a discussion about having PoG levels as addins. We decided that they're allowed. OK, then. But I'm net really beginner cause I watched a Serif webplus X5 beginner video and there were things I already know. Serif webplus X5 is better and easier to use then serif webplus 10 but X5 has glitches I dislike. Of course, if you don't want to reinvent the wheel, you could use software like Drupal, which will create a basic version of everything you want on PogFans. (Except, can it do files automatically? I'll have to check) That's the software that GooFans uses. From there, you could use Serif WebPlus or Taco Edit or Dreamweaver or whatever you want to make the site look nicer. You can make it as advanced or as un-advanced as you want. I dunno that and by the way I cancelled this idea of pogfans. The thing is that people are uploading addins or want to upload PoG addins here so there is no point of pogfans. I'm finally digging up for making new levels for my next Platforms of Goo Addin! ShortName allows you to avoid too long name at the main screen. After should be specified BEFORE the name (name is the final parameter). And the map image for the first part should end on world 10. PS. I hate level 166. I really do it like that on making the map images as a whole to connect what's next on the other worlds. And by the way, my computer is upgraded to Windows 8 so things could get a bit frustrating on my work. I also hate my work on level 172 and 179. Tomorrow, it's time to initialize the new Darkness World including Level 200! Hop you guys get to this point soon as I'll recap my top 10 hardest levels of the 100s in ULC. Hey, are you have another links? I can't download this file. Every times my chrome save it, it said that no file in that links. There are no other links, so this is the only permanent link to the game! I think I know what your problem is. Don't Save Link As with the Download Now link, it just takes you to the Downloads tab because there are multiple current downloads. Click it, then save one of those. @inwog .... , Can I modify your images and re-upload it soon to this page ? only copy them so it won't hack into the game. However if you do edit the images, a violation has been warned, because only me and Goosweek can edit ULC!